Leave a comment on THIS post by 6 p.m. CT Tuesday, March 10, 2015 to be entered in the DRAWING for an eBook copy of the book below. If you mention in your comment that you’re a follower (see in the left sidebar “Join This Site” and “Follow by Email”), I'll add your name a second time in the drawing. U.S. mailing address required to receive a paper book. Read book giveaway details at Disclaimers. To provide you security, please leave your email address like this: johnATyahooDOTcom. Winner announced in next Thursday's blog post. grew up in the northern United States and now lives in Arizona where there is no snow. She lives with her palm trees, cacti, music, and a computer with most of the letters worn off. She is a member of Christian Writers of the West and American Christian Fiction Writers, and is also an energetic public speaker who can touch the heart of audiences. Welcome, Katheryn. If you could have dinner with one person from today or history (except Jesus) who would it be and why? I would like to have dinner with a Christian martyr a few days or even hours before s/he is executed, especially if it is by torture (burning at stake, etc.). Actually, I doubt there would be any eating. Perhaps there wouldn’t be any conversing either. Perhaps I could listen in on their prayers. I think I would weep for them, but they would tell me not to weep, for their pain will be for a moment compared to living with God forever. To be in the company of such a one would be life changing. Please tell us a little about your novel, STAR SONG. you are several of them. Go ahead and struggle with him as they did. Laugh. Cry. Do mental battle with him. Emotional battle too. Fight for your faith as they fought. Pause to listen for what you've never heard before. Then touch Jesus. Follow the suspense as each person in Jesus’ life comes to terms with who they are, and who Jesus is. It is the story of doubts explained away, animosities melted away, misunderstandings cleared away. It is your story and mine. For deep within each of us is everyone who ever met and struggled with Jesus. Mary was too young, Elizabeth too old, Joseph too gullible, the shepherds too smelly, Anna too senile, Simeon too idealistic, Salome too flippant. The wise men should have minded their own business, Zechariah should have accepted he'd never have children. King Herod dared control God, the Bible scholars dared interpret God. 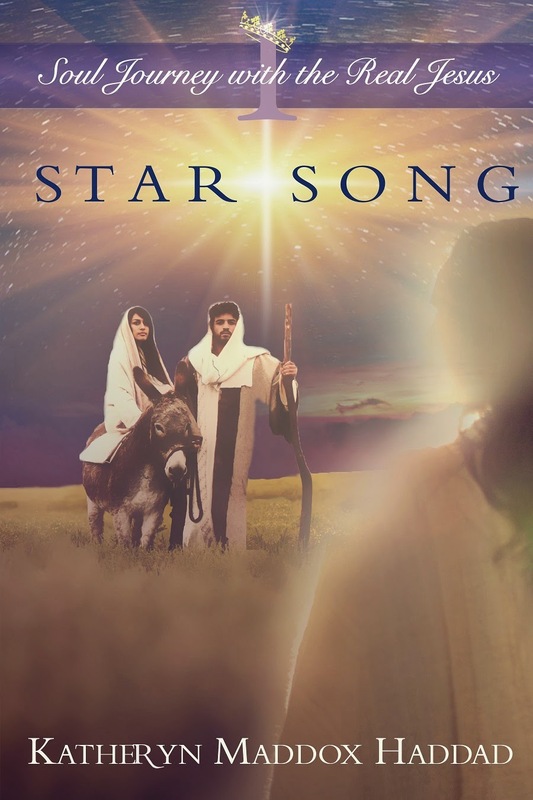 STAR SONG is dedicated to “everyone who has ever doubted.” It is book one in a series of eight lyrical novels on the life of Christ—Soul Journey With the Real Jesus— and 100 people who met and struggled with them. Life is hard. Jesus was not born in order to create romances in the snow, bright lights, and parties. Jesus was born into a world where Herod’s spies were everywhere, and he killed three sons, a wife and numerous others to protect his crown. The people involved in Jesus’ birth were not always strong, but they did what they could. They did not always understand, but as their part in Jesus’ infancy unfolded, they were courageous. Anyone of them could have been you. Where can readers purchase STAR SONG? 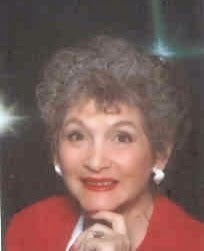 Katheryn, thank you for visiting with my readers. One of the commenters on this blog post will win an eBook copy of STAR SONG, which you have offered. The winner of last Thursday’s blog post for a copy of The Vigil by Marian Pellegrin Merritt is Britney. I’ll email you. Thanks all for commenting. Watch for more book giveaways. It took me 57 years to write this series on the life of Christ, and finally to get it published. I started it when I was 17 and life-of-Christ books and movies were popular.. But I thought I was too young and needed to do some living first. So I decided to write it when I was 60. When I was 60, I wrote it. But it has been in and out of the closet. When I turned 74 I decided to write it. Yes, I hope this is a growing genre. I tried to write so you could get inside the head and heart of everyone who met and struggled with Jesus. Sonja, you're welcome. Thanks for stopping by and leaving your comment. I love to read Biblical fiction. Just finished Keeper of the Covenant. I'd enjoy meeting those who knew Jesus!! It was nice to meet you Katheryn . . I hope, as you read, you will fall in love with all those courageous people who protected Jesus the infant, sometimes in fear for their own lives. Katheryn, I am eager to read your perspective of these people who knew Jesus. Thank you and Jo for this chance. Connie, you're welcome. Thanks for reading and leaving your comment. I think we all automatically love Jesus. Hopefully this book will help people love those in his life a little more. Kathryn is a new Writer to me. I'd be honored to get acquainted over the pages of this book. Kathie, glad you found a new author to you here. Thanks for your comment. I write lyrical novels. I have a logo that says, "Where the poet and scholar meet." While I include historically acurate facts in my writings, my style is kind of like prose. It's all designed so we can share the heart of the character. I would love to read this. Beautiful cover. Diana, thanks for reading and for leaving your comment. I was so pleased with the cover. There are three embedded symbolic images in the cover. Can you find them? Loved the author's description of her novel. Sounds like a good read. annknowles03ATaolDOTcom. I hope, when you read this book, you will fall in love with your Savior all over again. The ebook is available now. Paperback should be availale by the end of the month. My illustrator is fast at work creating eight beautiful covers for me. That done, I plan to show the covers of all eight books in the series on the back cover. The series name is "Soul Journey With the Real Jesus". Maxie, glad you found a new author here. I appreciate you following my blog! Thanks for leaving your comment. In book one, you will discover the deep and beautiful courage shown by people involved in Jesus' birth and childhood as they lived under the kingship of Herod the Great, a madman. Deanna, I appreciate you following my blog!